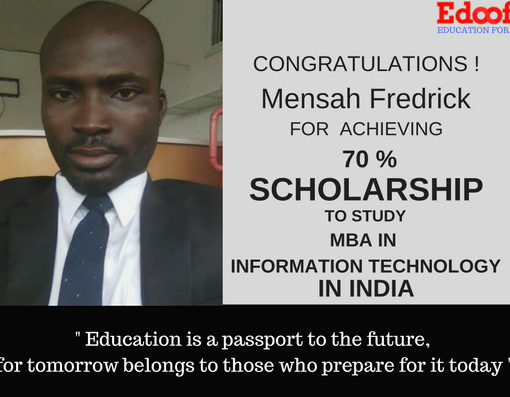 Ernest Kwesi, one of our bright Edoofians, studying a Bachelors of Science in Medical Laboratory Technology, with a 65% Scholarship, earned 6775 scholarship credits through our Earn While You Learn Program. 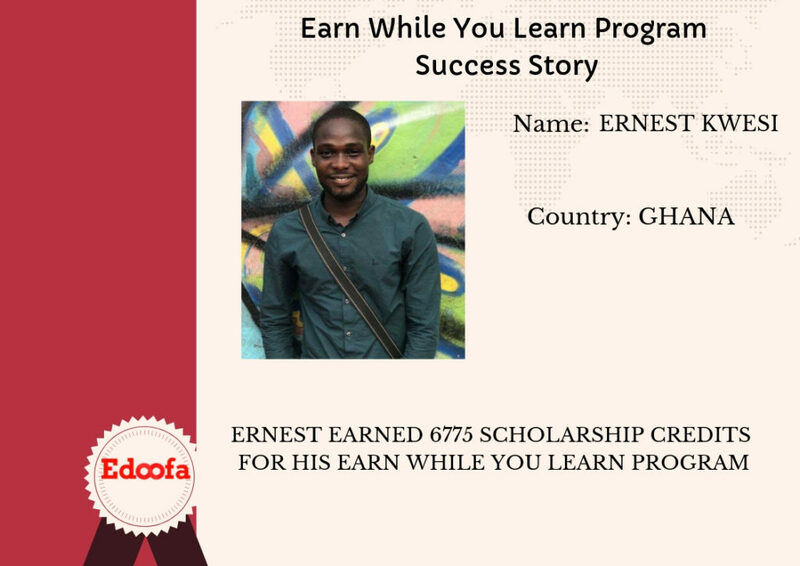 The young Ghanaian, managed to be a success story of Edoofa’s Earn While You Learn Program through hard work, dedication and a commitment to achieve his goals. So what is the Earn While You Learn Program all about? A lot of students tend to think that the Earn While You Learn Program refers to job opportunities or an opportunity to earn easy money through internships while studying. However, unfortunately according to Indian law, international students are not allowed to work jobs while on student visa. The purpose of the Earn While You Learn Program is not to earn, but to learn. And what do our students learn? They learn what is missing in most educational institutes. Employability skills that can make them top professionals in the 21st century job market. 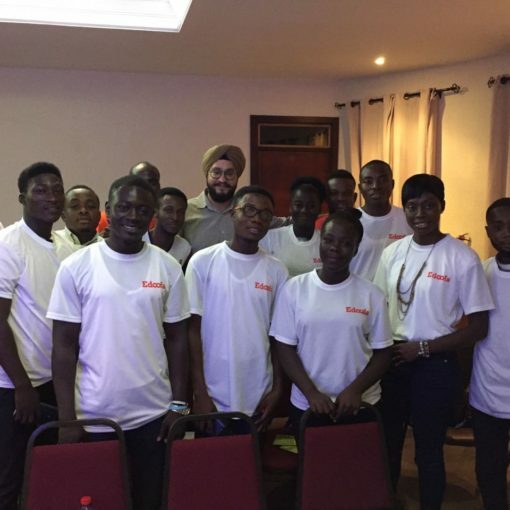 The program starts with a three-month industrial training during which students are trained in essential employability skills which include digital marketing, content writing, organization, management etc. 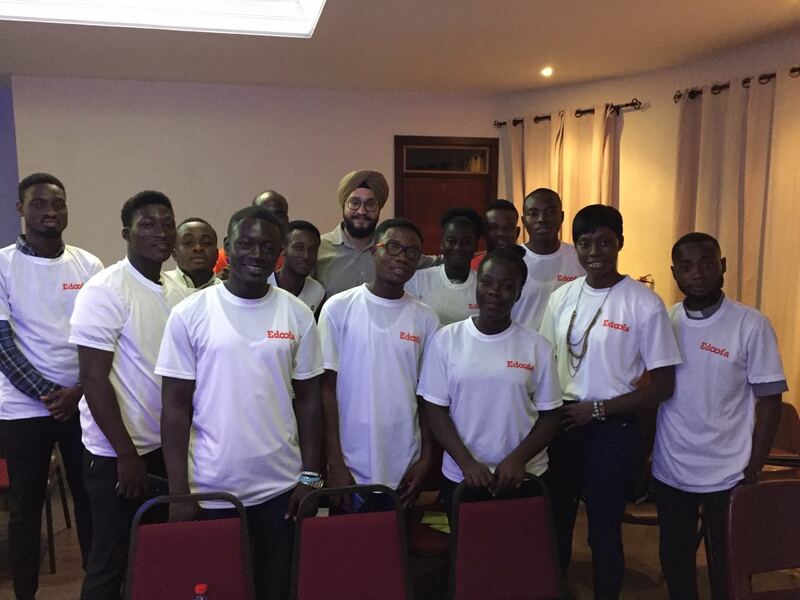 and soft skills like communication skills, leadership, presentation skills, team work etc. Following the three-month training, students are provided with real-time live projects which gives them the opportunity to gain valuable experience while getting the chance to earn scholarship credits and further reduce their tuition fees. However, it is not guaranteed that a student will earn scholarship credits. It depends on the student’s hard work and dedication towards his/her projects. In life, success comes through hard work, and that is the essential message behind the Earn While You Learn Program. 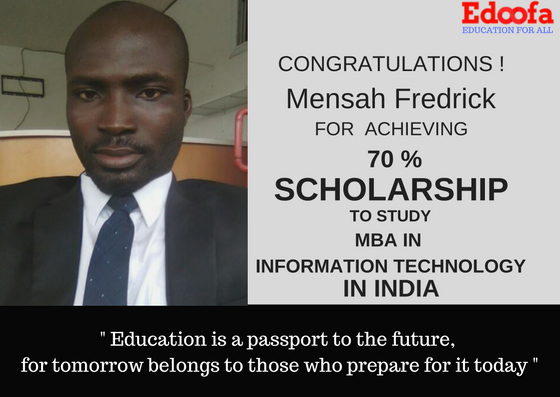 If you wish to pursue affordable, quality higher education in India and become a success story like Ernest, apply now for our global scholarship program. 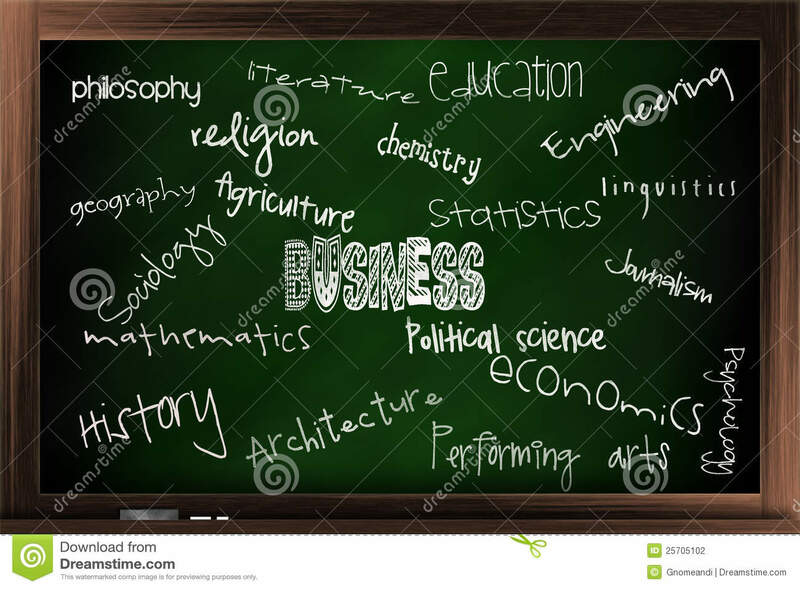 HOW TO CHOOSE THE BEST COURSE FOR YOUR HIGHER EDUCATION?